Today we have just a nice photograph. Taken on the verge of winter, this photograph shows the northern corner of the site. In the distance the midday sun is just glinting on the summits of the Norwegian mountains. 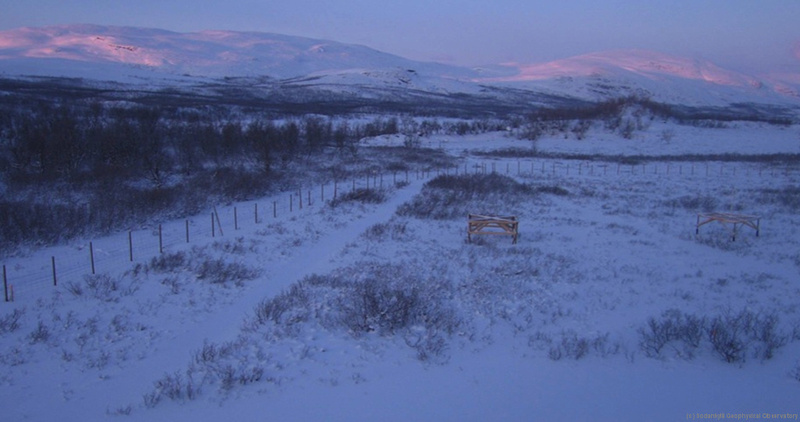 The reindeer fence is still visible and a couple of the LBA test station platforms can be seen.